Were the Memphis Grizzlies Wearing the Uniforms of the Washington Generals? Many teams are sporting ABA retro jerseys this season and the Memphis Grizzlies are one of them. 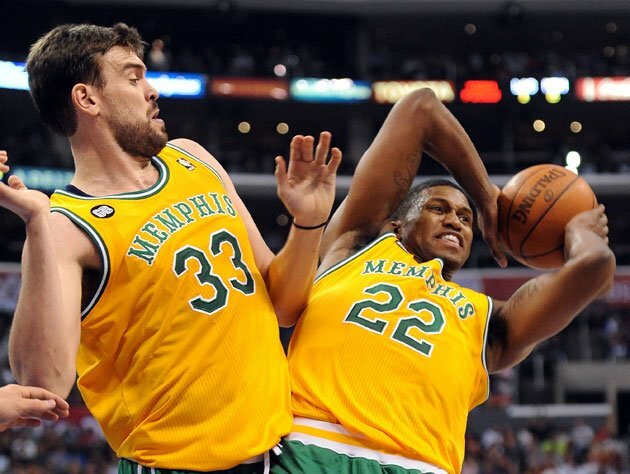 They rocked jerseys that were an homage back to the old Memphis Tams. Here they are. Maybe a little like the old jerseys of the Oakland Athletics. I love throwbacks.